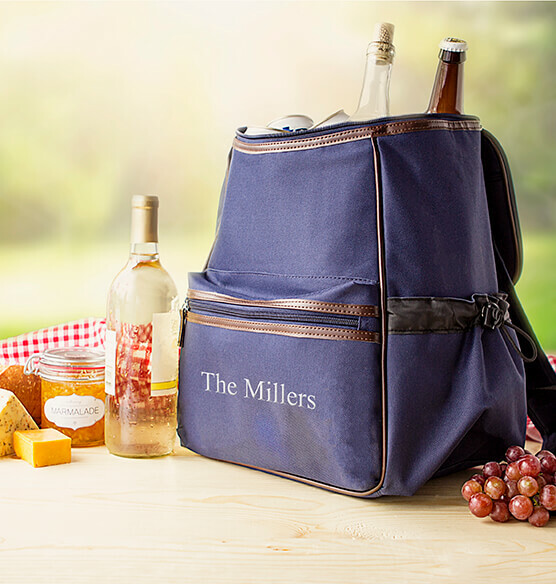 From camping to long travels, the Personalized Insulated Backpack Cooler is the perfect durable companion. 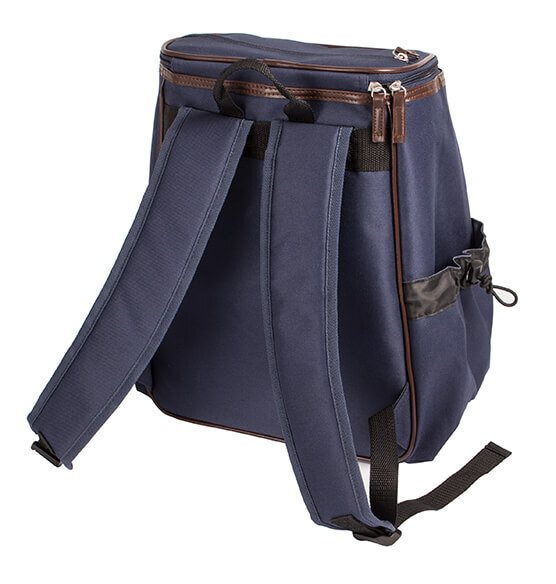 This portable cooler features a front-zippered pocket, two side pockets large enough to fit a 64 oz. 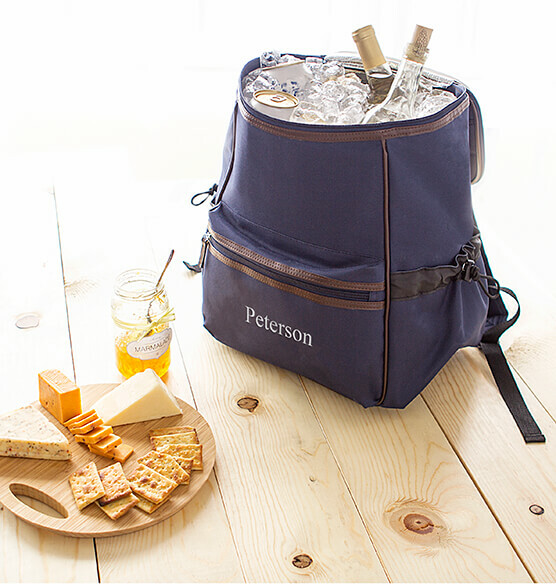 growler, and a fully insulated interior to keep all your beer and refreshments cool. 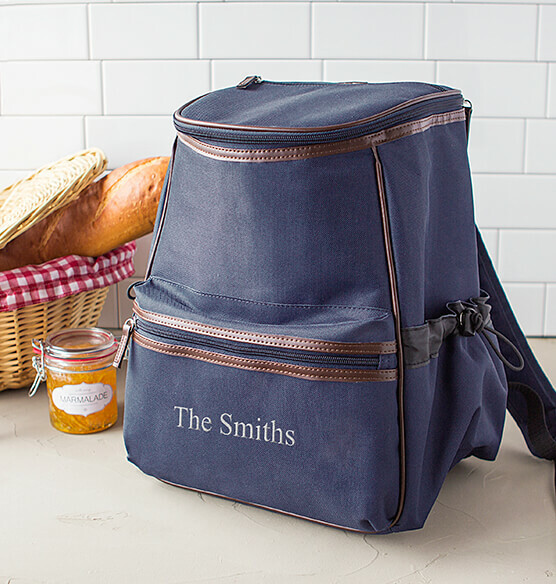 Comfortably placed on your shoulders with padded straps, this cooler backpack is a great gift for any adventurer. 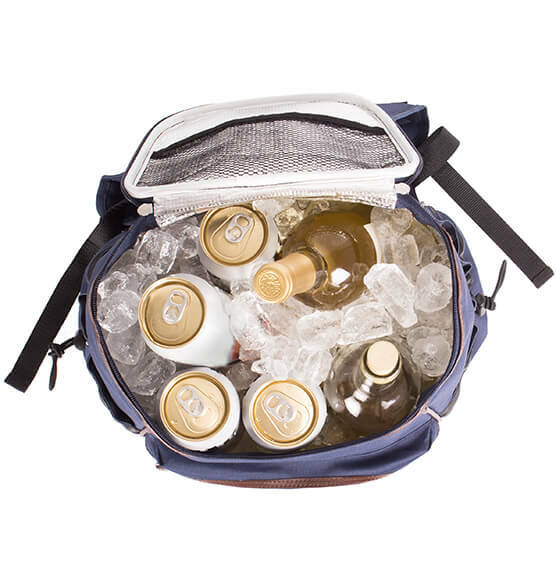 Beverage and beer cooler backpack with padded shoulder straps. Built-in mesh pocket on top flap. Elastic fastening to secure loose objects. Polyester with thermal lining and a faux leather trim. Wipe clean with a damp cloth and dish soap.